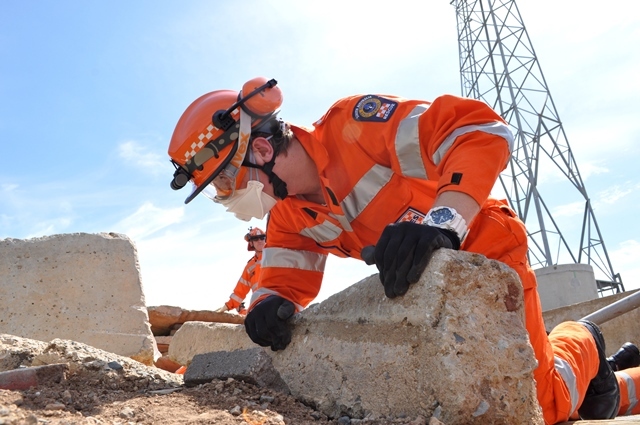 Urban Search and Rescue (USAR) is a pre-planned, self-sufficient, multi agency response to structural collapse situations. This can be a response to either a natural or manmade disaster or emergency. Structure collapse situations can occur during an earthquake. For more information on how to prepare for an earthquake visit the earthquake information page. Historically SES involvement in USAR extends back to the Second World War, albeit under a different name. Volunteers made their way through bombed and burnt buildings with minimal equipment to rescue the trapped and injured, these working parties were the forefathers of modern USAR. Today's USAR training involves highly trained personnel and specialised equipment. USAR training is sectioned into three categories. 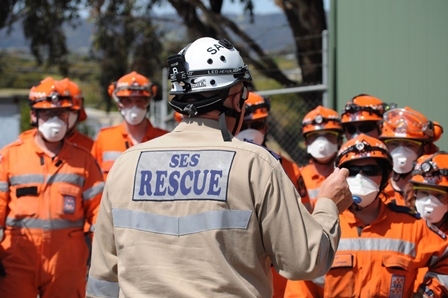 SES has several hundred members trained to USAR Category 1 and provides USAR Category 2 members to the State taskforce for large scale State or national responses. A USAR taskforce is usually requested when the incident is beyond the scope of the local resources to cope. USAR Category 1 is an awareness level for initial responders who generally work removing primary surface casualties, conducting initial intelligence gathering, identifying hazards and establishing marking systems. 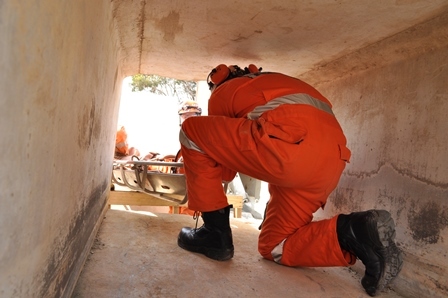 USAR Category 2 involves very extensive training in the technical and specialised aspects of rescue. 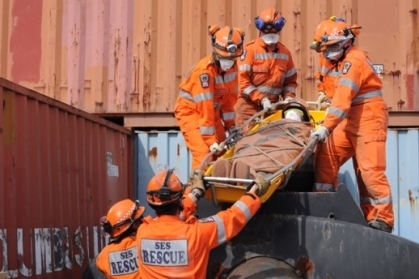 All of these skills combine to allow the rescuer to access survivable spaces located within the rubble to remove trapped and injured victims from partially or totally collapsed structures. USAR Category 3 members focus on overall taskforce command and management.